We are back from a long weekend break in Southwold. Yes, I know, we could have gone somewhere else, but we love it. Rather than book a hotel we took advantage of the winter deals on cottages through Suffolk Secrets, basically you can more or less decide when you want to go, rather than being fixed to whole weeks. We stayed in Tittlemouse House, its a cute comfy cosy cottage and a great base for a couple or a family of four as long as they are small children, the house is small. We popped into Aldeburgh on the way down on Friday. Had fish and chips for lunch, it was too cold to take photos of them. I didn't actually think about it till I was halfway through them, and who wants to see a half eaten meal plus a seagull was eyeing them up too. Great weekend just hubby and you, Indeed. I can certainly understand the love of a place. And...there are far worse places to seek shelter than a pub! Southwold is a perfect place to relax, winter or summer. 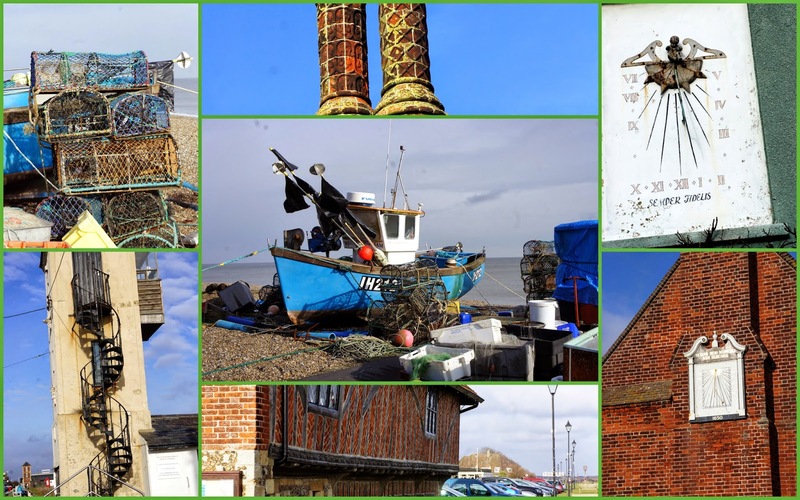 There, Aldeburgh and Dunwich are some of our favourite places to visit. Glad you had a nice weekend.